Tokyo. I can never get enough of that place. Repeat: never. If you've been, you know what I'm talking about. If you haven't, scroll down and you'll understand. Tokyo is a giant of a city in every respect. But despite its size, intimate scenes of nature and even of urbanity are around every corner. Its food is the best in the world, its gardens unparalleled. Oh, and make no mistake, it's crazy. Teeming streets and cultural oddities abound. Last month, we spent 48 high-intensity hours in Tokyo. We ate fabulously (without breaking the bank), visited glorious urban parks (Hama-rikyu Gardens and Shibakoen), strolled through the crowded streets of Ginza, Kabuki-cho, and Harakjuku, went shopping for restaurant supplies in Kappabashi and for Japanese finery in Tokyo Midtown, and spent an absolutely insane evening at the Robot Restaurant. 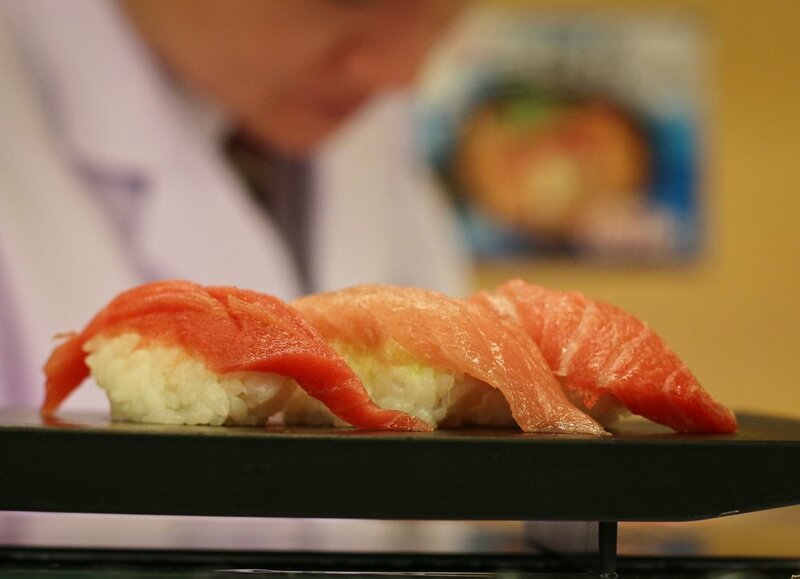 In Tokyo, there is sushi for breakfast, and it is good. Hama-rikyu Gardens. Once the private preserve of the Tokugawa shoguns. Oguni jinja. Hamamatsu, Shizuoka. Hiroko's hometown and our first stop in Japan before Kyoto and Tokyo.